A dorm near USC. A flat above the Sunset Strip. A garage in the San Fernando Valley. A stage in Pasadena. These are the places where the filmmaking artists of Los Angeles found ways to express their creativity in the years after World War II. 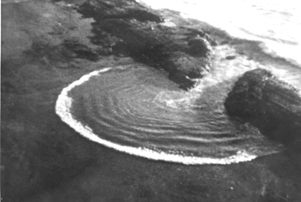 Los Angeles Filmforum launches our film screening series Alternative Projections: Experimental Film in Los Angeles, 1945-1980 on October 9th with Dream States: The Avant-garde of the 1940s and 1950s. The series will feature over 24 shows between now and May 2012. 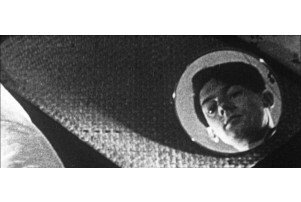 Alternative Projections is Filmforum’s exploration of the community of filmmakers, artists, curators and programmers who contributed to the creation and presentation of experimental film and video in Southern California in the postwar era. Film series curated by Adam Hyman and Mark Toscano, with additional contributions by David James, Christine Panushka, Terry Cannon, Ben Caldwell, Stephanie Sapienza, and more. Alternative Projections is part of Pacific Standard Time: Art in LA 1945 – 1980, an unprecedented collaboration of more than sixty cultural institutions across Southern California, coming together to tell the story of the birth of the L.A. art scene. The American Avant-Garde film started coming into its own in Los Angeles during and after World War II. At first influenced by several key films from Europe, particularly Jean Cocteau’s Blood of a Poet, along with influences from psychoanalysis and surrealism, the filmmakers often invoked dream states and elements of Surrealism. 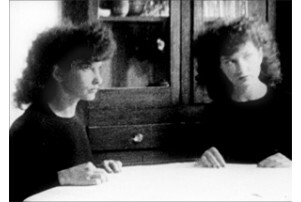 We start our series with the classic Maya Deren film, Meshes of the Afternoon, generally considered the seminal American Avant-Garde film, made on North Kings Road above the Sunset Strip. A pair of other canonical films also were crafted here, Kenneth Anger’s Fireworks and Man Ray’s Juliet. And Alfred Hitchcock asked Salvador Dali to craft a surreal sequence for the film Spellbound. But beyond these lay a further range of works, not as well known, but equally daring. Joseph Vogel's little-seen House of Cards employs an unexpected combination of live action and animation within an expressionistic framework to investigate the psyche of a man trapped by compulsions of violence. 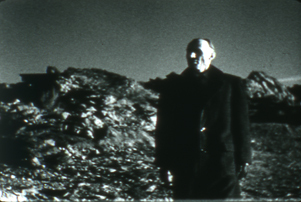 The striking visuals in this film were made by Vogel with the assistance of John and James Whitney, who had just a year or so before concluded their Five Film Exercises cycle.